Eu-doped CaAl2O4 bulk crystals were synthesized by the floating zone (FZ) method, and their photoluminescence (PL) and scintillation properties were investigated firstly in a bulk crystal. The crystal samples exhibit PL and radioluminescence (RL) with a broad emission peaking around 440 nm as well as sharp peaks appearing around 600 nm, which are similarly observed for powder samples. Suggested from the decay time constants, they are attributed to the 5d–4f transitions of Eu2+ and the 4f–4f transitions of Eu3+, respectively. 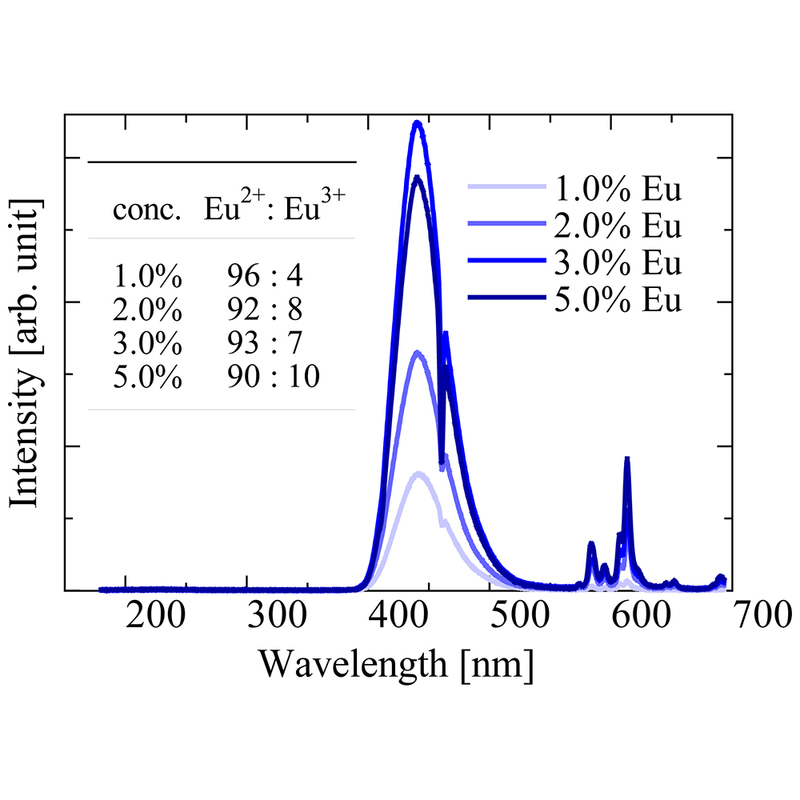 From the pulse height spectrum under 241Am γ-ray (59.5 keV) exposure, the light yield (LY) of a 3.0% Eu:CaAl2O4 bulk crystal is approximately 12000 ph/MeV.